By the time you read this I will be enjoying my vacation in Florida but before I left I bought a few things for my trip from the mall and Target. 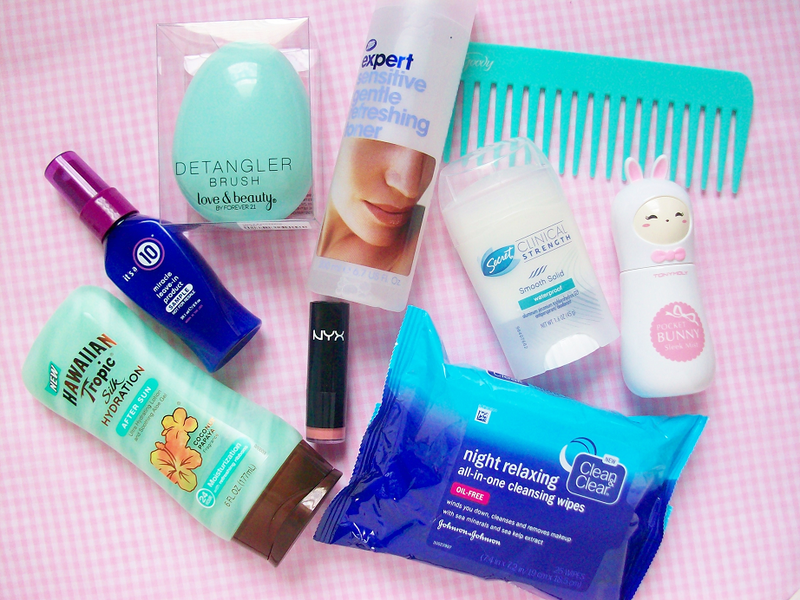 Just some necessities I needed for traveling I will also be posting a haul once I come back. This is the first of many summer themed blog posts that I will be posting this summer so look forward to more this month! It's A 10 Miracle Leave-In Product: I had a special coupon from Ulta to try the It's A 10 leave in miracle product for free so I took advantage of this since I needed a new leave-in conditioner anyways, plus I hear it's a pretty amazing. Love&Beauty Detangler Brush: I've wanted one of these detangler brushes for a long time and finally found one at Forever 21 for less then $3! I also love the colors of this brush (the bristles are pastel pink). Boots Expert Sensitive Gentle Refreshing Toner: I ran out of toner so I just got another one of these because it's cheap and does it's job. 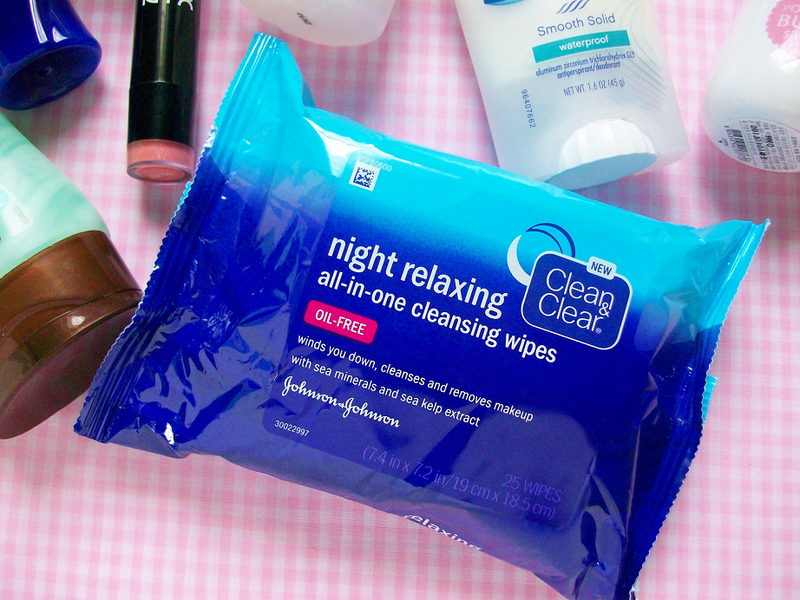 Clean&Clear Night Relaxing All-In-One Cleansing Wipes: I am a fan of products specially designed to help you sleep because I go through phases where I can't sleep a wink. 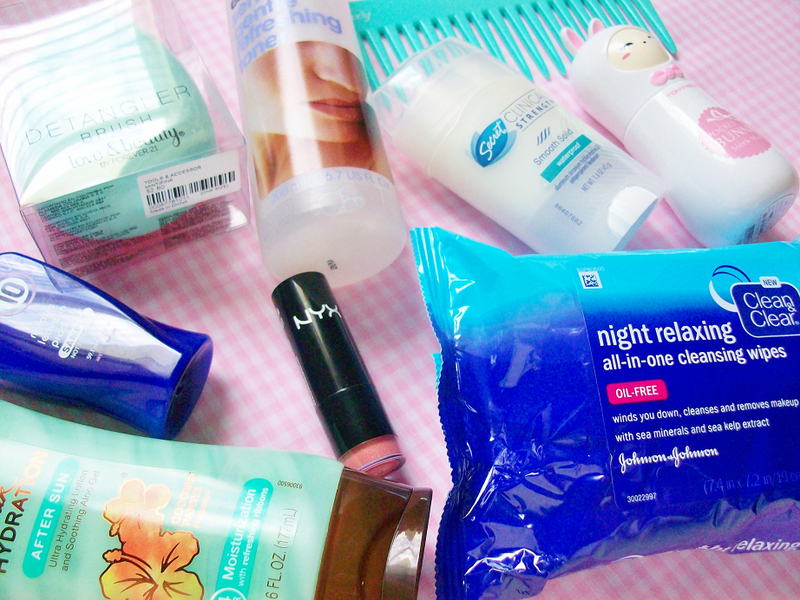 So when I saw these wipes I had to try them! Goody Wide Tooth Comb: Another essential I needed. 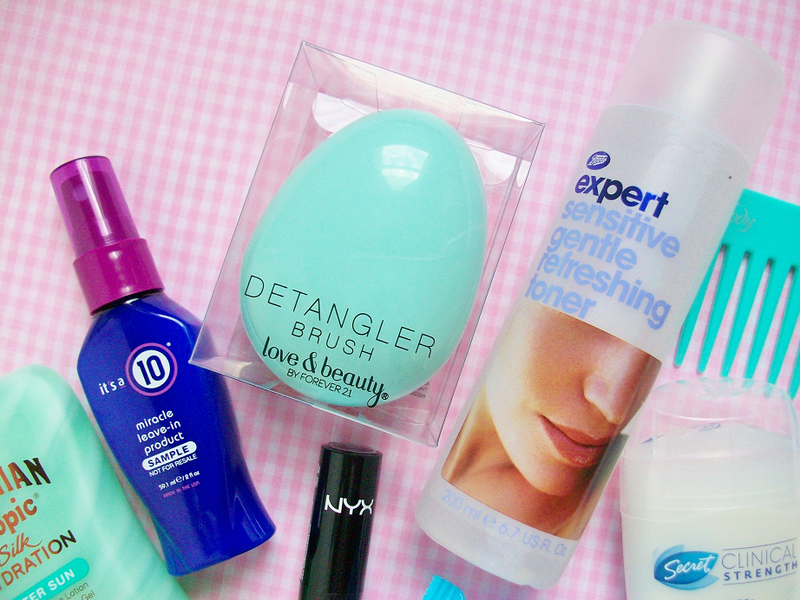 Secret Clincal Strength Waterproof Deodorant: My favorite deodorant ever! It's the only antiperspirant that actually holds my sweat in! Tony Moly Pocket Bunny Sleek Mist: I got this for those hot humid days when you need a cool refreshing mist. 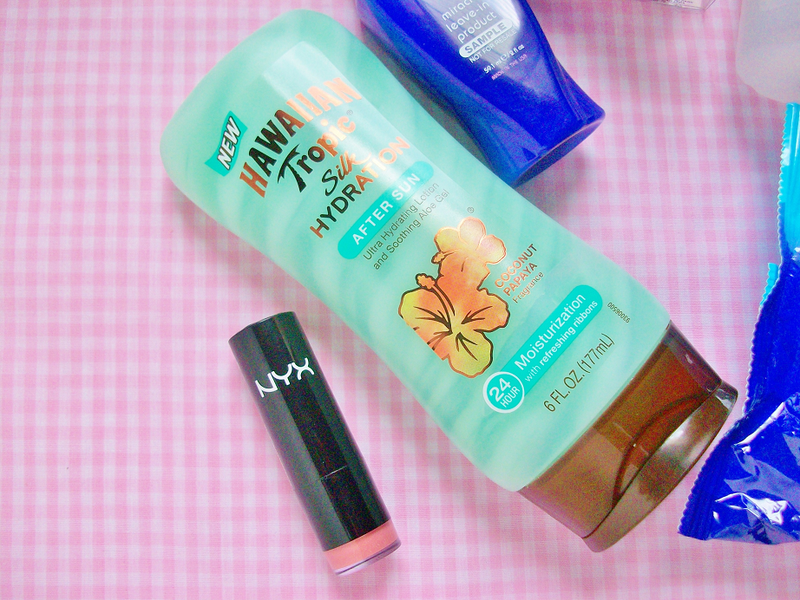 Hawaiian Tropic Silk Hydration After Sun Ultra Hydrating Lotion: I don't plan on tanning much (because tans are bad for your skin) but if I do get "kissed" by the sun I will be using this. NYX Gala Lipstick: I currently looking for the perfect coral pink lipstick. I saw this one at Ulta and it looked nice so I bought it hopefully this is the one.